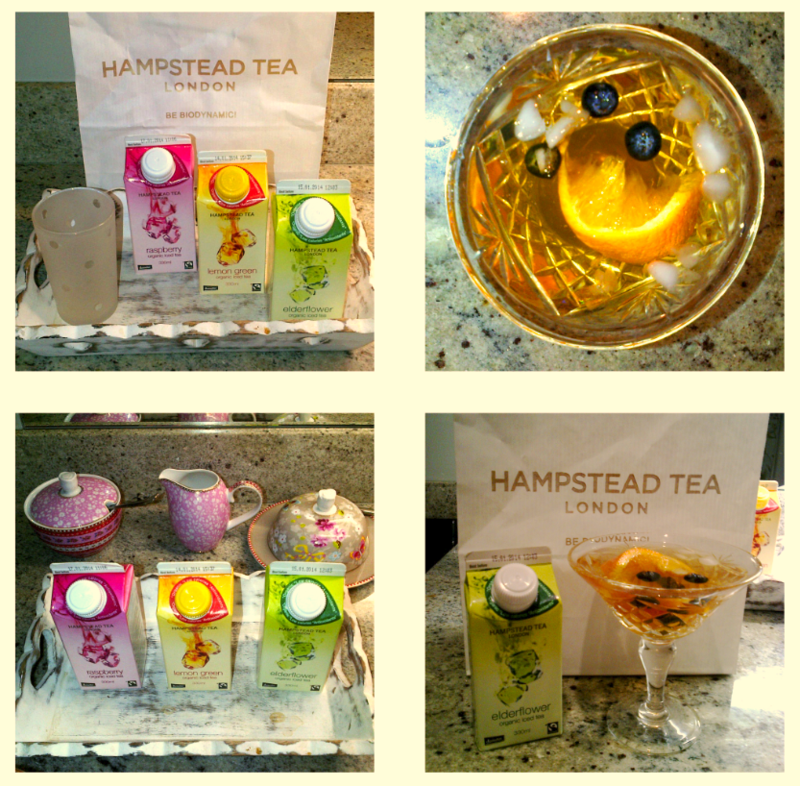 It’s time for Hampstead Tea. Summer is cheekily peaking her sunny face from behind the clouds and over the weekend I’m sure she’s going to come out singing! What do I love waking up to in the morning? A nice mug of tea, but in the Summer I like a refreshing iced tea served in a cool glass with ice and a chunk of citrus or berries for extra zing. That’s why I’m really happy to have discovered that Hampstead Tea now makes fairtrade iced teas in three flavours; Elderflower Oolong, Lemon Green and Raspberry Darjeeling. They are organic and biodynamic and even though they taste really yummy and fruity they contain no artificial flavourings and are each low calories. What more could you want? Try these fruity delights this weekend. They are the perfect compliment to a sunny morning spent in the sunshine.